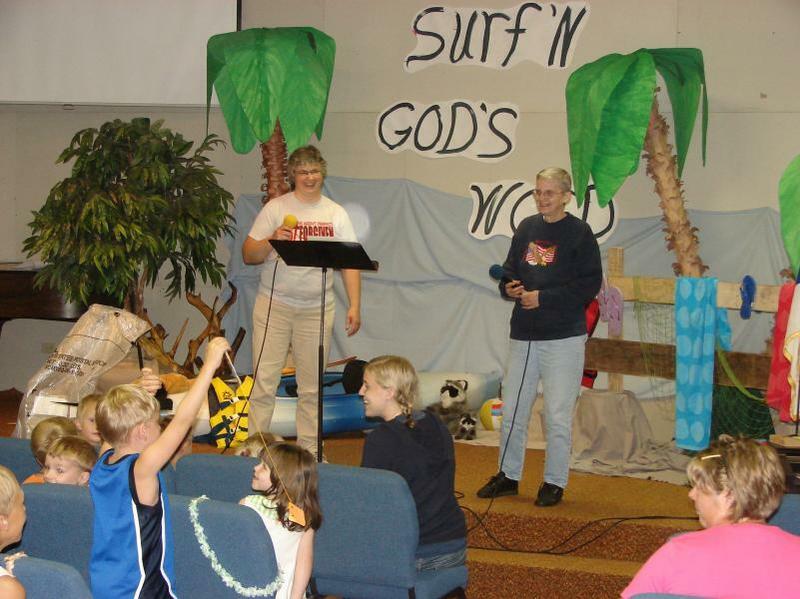 Our Vacation Bible School (VBS) is open to all children from 5 years old through those who have completed the 6th grade regardless of church affiliation or background. There is no charge for the school. The dates for our 2019 VBS are July 8-12 and will be held from 8:45AM to 11:45 AM. The curriculum for this year is produced by Answers in Genesis. It is a very intersting and interactive series of lessons that helps children discover Who Jesus really is and what He means to us. The theme is The Incredible Race! Group singing, learning new songs and singing old familiar songs that are fun for children. 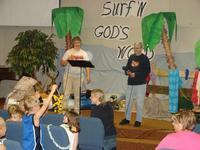 Interesting Bible Stories and age appropriate classes. Snacks and outdoor recreation (weather permitting of course). A store that the children make purchases from on the last day of VBS with points earned during the VBS. We are excited to see you and your children there!